Since the implementation of the Canine Control Act 2013 the Government of New Zealand has been providing expertise and advice to the Government of Samoa on the development of a national dog control program. 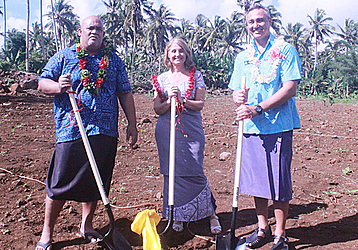 Yesterday a ceremony was held at Tafaigata for the groundbreaking for a new Dog shelter. The idea came about after the Canine Control Act was being passed in 2013 and with the rising number of stray dogs roaming around the town area which was a total threat to the public as well as the visitors from overseas. Associate Minister of Police and Prisons Amituanai Kenrick Samu indicates that this project is a commitment by the Government of Samoa and New Zealand. He said the two governments agreed that a Dog Control Facility is an essential component of the Dog Control Program which supports improved welfare of the people of Samoa and visitors and especially the development of tourism. The New Zealand High Commissioner Jackie Fritzel said that this program will help improve the health and safety of Samoan people and in the welfare of the dogs. The shelter will provide a safe and humane environment for stray dogs and in doing so will make the streets safer for the community and international visitors. “One less obvious element of this is the impact on non-communicable diseases in Samoa, and people are less willing to get out on the streets to exercise, to walk on the waterfront if they fear being hassled by dogs,” said Mrs Fritzel. However, ever since this program has been established she has seen a huge success on the increase of those jogging, walking and cycling on the waterfront. Mrs Fritzel said the dog shelter is one of the four pillars of a successful dog control program alongside public education and awareness on responsible dog ownership, dog registration and dog control and enforcement. And one of the very important parts of that formula is de-sexing of dogs so that there are no unwanted or un-cared for dogs. The shelter is an important last resort, but everyone would prefer that this issue is dealt with through responsible ownership. 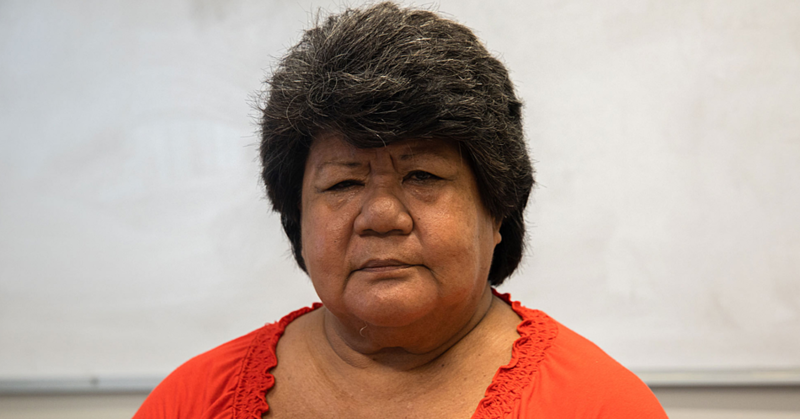 She also said that the permanent dog shelter will replace a temporary shelter in Vaitele which was established in June 2014 to allow the Samoa Police to put in place effective dog control measures in Apia. The Shelter has been designed by B.E.C.A. International Consultants to New Zealand animal welfare standards which will enable seized dogs to be housed in a secure, healthy and humane way to minimize the risk of the spread of disease. It also provides a place where local people can bring stray and unwanted dogs, and provides flexible space for visiting vets to undertake desexing and other animal welfare treatments. Zheng Construction Company has won the tender for the construction of the Dog Control Shelter at a cost of $984,766.03. The facility consists of an administration building and a dog kennel building that can accommodate 40 dogs. The building has been designed to comply with the Samoa dogs, the Dog Management Staff and the public. This project is expected to be completed by the end of October 2016. In the meantime nearly 10,000 dogs have been registered and there are at least 5000 fewer stray dogs on the streets. New Zealand High Commissioner Fritzel said New Zealand will remain committed to support further developments of the dog control programs and they are hoping that the local government will continue to provide advice and support over the next 18 months as the shelter is completed in the fourth quarter of this year. 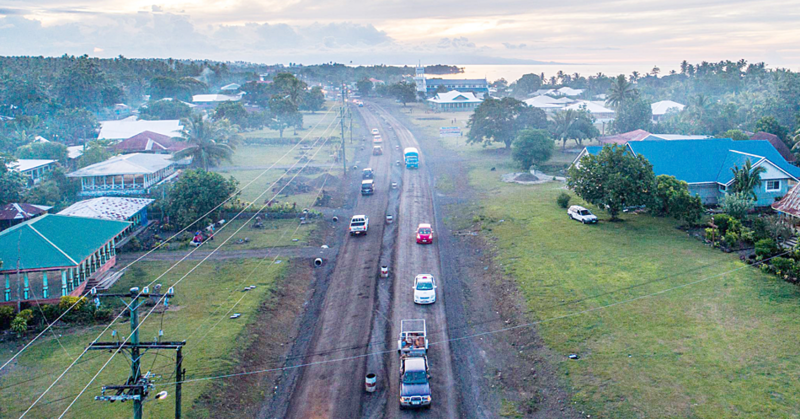 This program will also expand to the big island of Savaii.